Blue Bee Cider 1320 Summit Ave. 231-0280 bluebeecider.com This is another pick that deserves some honorable mentions. 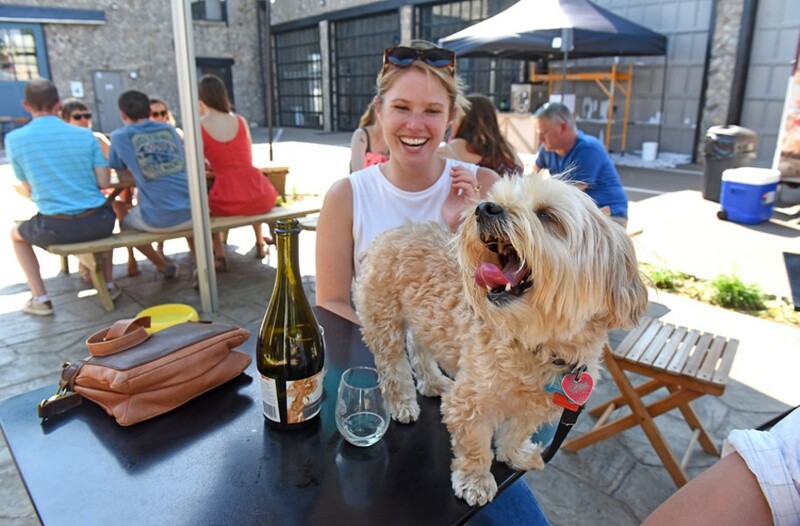 Most of the breweries in town, like Ardent Craft Ales, Hardywood Park Craft Brewery (and, of course, its new West Creek location, surrounded by rural land) and Triple Crossing Brewing Co. all allow pups on their patios. But our favorite place to drink and eat with the dog in tow is Blue Bee Cider in Scott's Addition. The patio is contained without feeling cramped, and the tables aren't so close together that you're packed in like sardines. Most of the seating area is covered with umbrellas, so you and your pooch don't have to bake under the sun. If your four-legged buddy does get a little dehydrated, though, staff will provide water bowls, plus treats and plenty of affection Blue Bee holds an annual event called Dog Days of Summer, which falls on Saturday, June 9, this year. Pet-oriented vendors will set up shop outside, and reps from a local shelter will have animals on-site for adoption. Food trucks are parked right outside on most weekends, so if your fur baby is lucky maybe she'll convince someone to slip her a bite of barbecue. We wouldn't recommend sharing your cider with her, though.